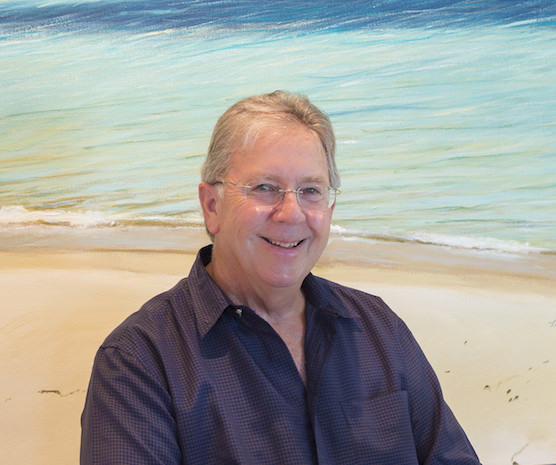 Richard Reynolds Ward has spent much of the past 40 years as a landscape painter, an exhibition and display proprietor/coordinator, and an interior designer/conceptual visualizer. In all three areas he has explored the use of color, balance, and composition. He draws inspiration from his multiple experiences living and traveling abroad. Richard currently works from his studios in Hudson, Wisconsin and Contré, France. Richard spent his childhood in Melbourne, Australia and Greenwich, Connecticut. After completing a B.A. at Knox College in Illinois with a major in Painting and a minor in French (junior year was spent in Besançon, France), he spent four years in the USAF working as a medic in Intensive Care. At the conclusion of his tour he migrated with his wife and son to Western Australia and enrolled at the University of Western Australia where he studied architecture for a few years (not for degree). Through his architectural studies he gained insight into materials, lighting, and critical path analysis, which has been very helpful to this day in considering necessary articulation spaces and relationships of furniture and artworks in interiors. For several years Richard ran The Looking Glass, an elegant interior design shop in Subiaco, Western Australia. He introduced an accent line of parson’s tables, which were printed with different ferns. For 20 years he owned and directed an exhibition/display firm in Perth, Western Australia. Working with large corporations and banks, his team would create point of sale advertising and set up on site for small and large campaigns. He frequently consulted with clients and other interior designers on framing and hanging artwork. He has also done interior decorating consulting on both domestic and commercial properties. As part of his decorating work, he has painted murals in private residences and for public viewing. Recently, Richard developed a concept for a client of Aline Architecture in Massachusetts which entailed creating an artwork of a meaningful scene for the homeowner on a folding screen to hide a television in the library. In 2002 he relocated to Wisconsin (near Minneapolis/St. Paul) and since then he has primarily focused on painting and exhibiting. Throughout his career, Richard has continued to paint and exhibit regularly. He has traveled extensively, and continues to have very strong ties to New England, the Midwest, Western Australia, and France. He sees life as being filled with creative opportunities and challenges. It is creating order out of chaos, finding balance in color and shape, and combining elements in a meaningful way.